Keep the world at your fingertips with this glowing turquoise ring! 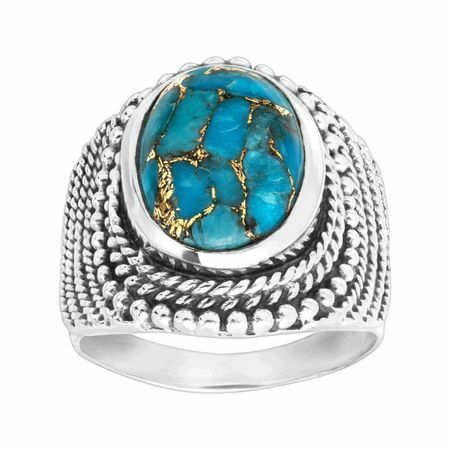 Rings of bead-like sterling silver make this central copper turquoise stone pop. Ring face measures 13/16 inches in width.